This spectacular oil painting was Bill Hughes' last. Land of Condor shows a fantastic geography and a mastery of good light. 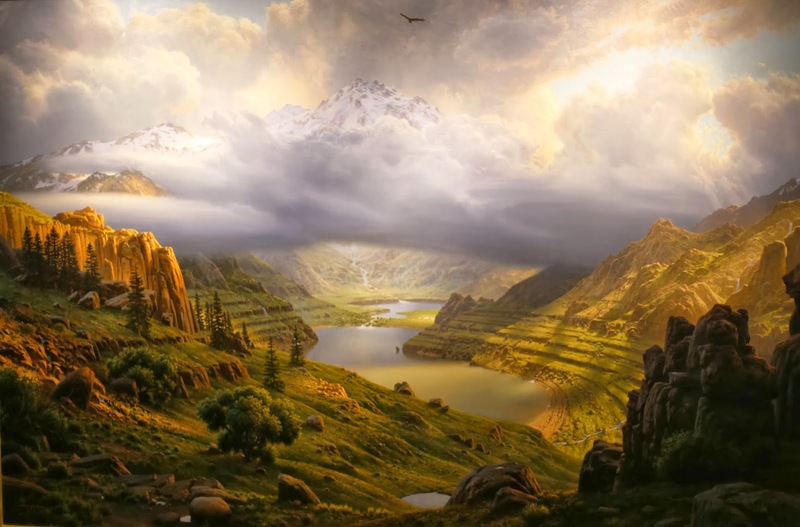 It makes me want to seek out the fictional land in the artist's eye, and go hiking there. Seen at the excellent Leanin' Tree Museum of Western Art in Boulder.